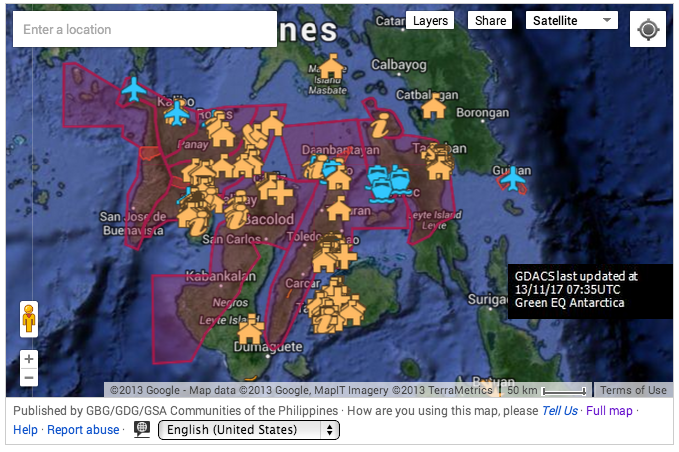 Google has put out an interactive map of aid and recovery efforts in the Philippines. This is an excellent tool for understanding where the aid is going, and what the scope of the problem is. Here it is, embedded — so all interactive features are live. Now … sad news for us … here is what comes up if you input Lawaan, Samar– our hometown. 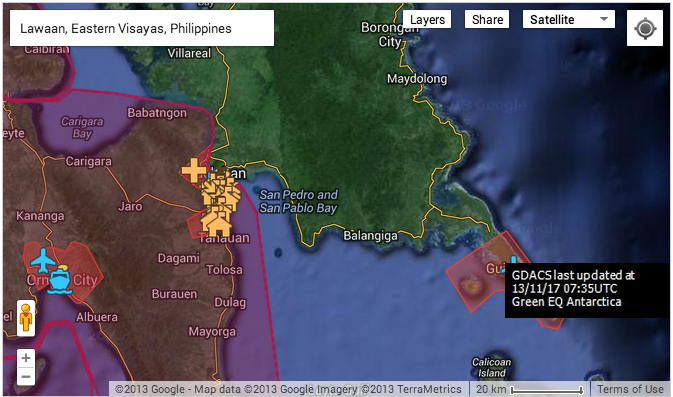 Lawaan is just west of Balangiga. Pulling back a bit, you see the scope of the problem — but also where the relief is going. Folks — we’re not kidding when we say no government aid is getting in to our hometown. There are three micro-relief projects by citizen groups that are sending aid specifically to the Lawaan area. Here they are. Please consider donating — and if not to one of these, then to one of the established aid agencies, who will eventually get aid to Lawaan. We just don’t now when, and are trying to bridge until the official aid finally happens.